Jump to video New Nintendo causing home chaos? 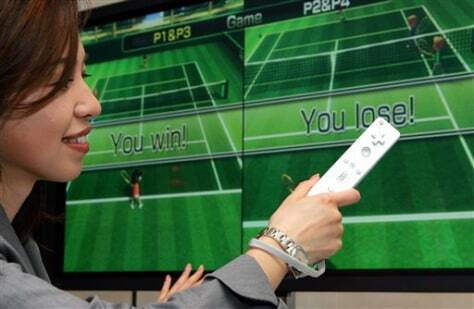 A model plays tennis with Nintendo Co.'s new family video-game console Wii by swinging it's controller as a tennis racket during a press conference in Tokyo. The Japanese gamemaker on Friday announced the recall of 3.2 million straps for its popular Wii computer game controllers.